Sustainability is an important consideration for Qube and our related stakeholders including customer, tenants and contractors. Moorebank Logistics Park will be a benchmark in environmentally sustainable design (ESD) practices across every facet of the development, including precinct wide initiatives as well as tenant led activity. To deliver on our objectives, we are working with industry leading bodies including the Green Building Council of Australia (GBCA) and the Infrastructure Sustainability Council of Australia (ISCA) to implement performance based rating tools for the project and our tenants. 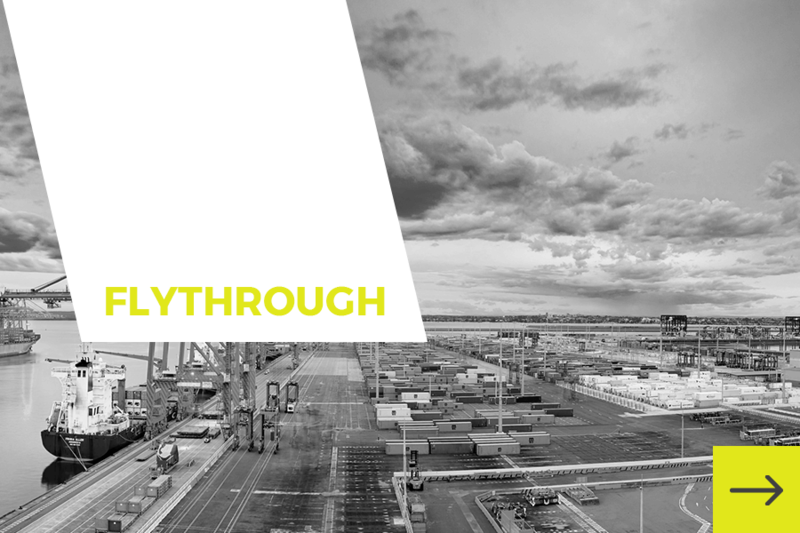 Qube has also received a $150 million term debt facility from the Clean Energy Finance Corporation (CEFC) in the statutory authority’s first major investment in low emission transport infrastructure for Moorebank Logistics Park. Click below to learn more about the various precinct initiatives to be implemented. Create around $11 billion in economic benefits over 30 years, including $120 million a year for the economy of south-western Sydney, through the improvements to productivity as well as reduced business costs, reduced road congestion and better environmental outcomes. Use of passive design techniques such as building orientation, layout design, thermal massing and facade design. High performance double glazing to all facades. Efficient HVAC equipment with economy cycle. High efficiency and intelligent lighting and control systems. Commissioning and tuning of building services. Extensive energy sub-metering and monitoring system. Installation of onsite renewable energy sources. Installation of rain water tanks for the purpose of landscape irrigation and toilet flushing. Installation of onsite detention basins. Flush kerb garden beds are proposed, to ensure total stormwater runoff is reduced and any runoff is treated to a high standard prior to leaving the site. High efficiency water fixtures and fittings with minimum 4 star WELS rating. Air cooled air conditioning equipment. Water sub-metering and monitoring system. 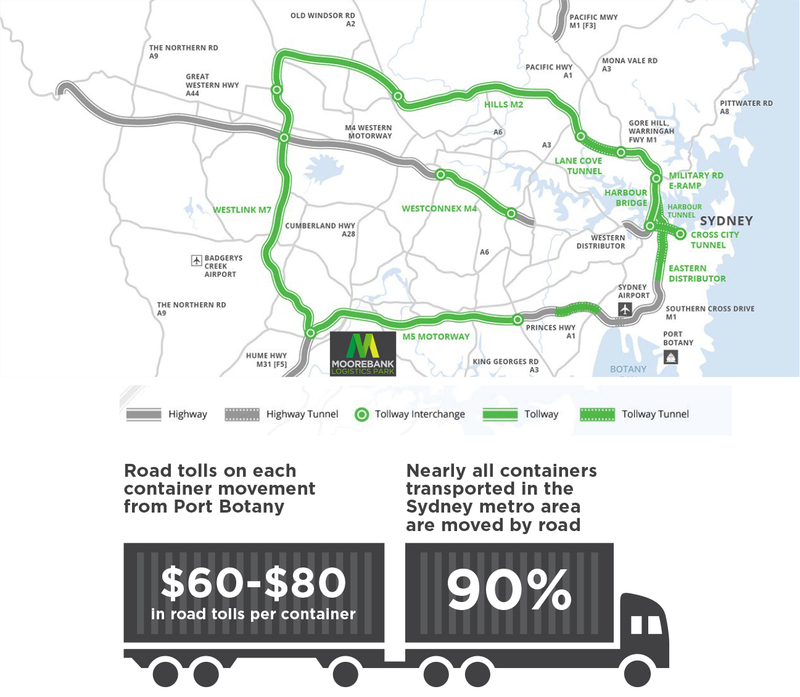 Round trip toll costs for trucks ex Port Botany. Significant long term savings in moving from road to rail. Improved user comfort through HVAC, building fabric performance and fixed shading design. HVAC system with economy cycle. Low toxicity materials and finishes. Flicker free, efficient lighting design. Comprehensive environmental and waste management practices during construction. A dedicated central waste recycling area to facilitate recycling during building operation. Material selection focussed on reducing environmental impact and providing a healthy interior environment. Cyclist facilities and fuel efficient vehicle parking spaces to reduce transport related impacts. Extensive and diverse landscaping to enhance ecological value and improve stormwater quality. Sustainability criteria as part of the fitout guide.